The use and development of alternative energy in Thailand has progressed exponentially in line with the policy of the Ministry of Energy. However, as electricity has become a requisite of modern life, we have not been able to rely completely on renewable energy for a steady source of energy. Therefore, LNG can contribute to Thailand’s future energy security. Through the Department of Mineral Fuels, the Ministry of Energy aims to manage the country’s natural gases through four strategies: 1) slow the growth of natural gas consumption, 2) maintain the production level of the sources in Thailand to prolong their lives, 3) obtain and manage LNG supplies, and 4) develop infrastructure to accommodate LNG imports. The Ministry is also looking to increase the number of LNG suppliers and distributors as well as grant third-party access to holders of natural gas procurement and wholesale licenses or other energy entrepreneur, allowing them to use or connect to natural gas transfer facilities. The Department of Mineral Fuels have studied and formulated an action plan for the establishment of the LNG Bureau, which will oversee LNG market control mechanisms that will be in effect concurrently with the total liberalization of LNG. Private entrepreneurs who are equipped to import LNG will also be granted permission to do within defined standards and reserve infrastructures, ports, storage tanks, LNG conversion facilities, and LNG transmission systems. What has been implemented as part of this action plan is the adjustment of Thailand’s LNG portfolio. In comparison to the previous ratio of long-term, mid-term, and spot contracts of 50: 30: 20 to 70, the revised portfolio will feature 70% long-term contracts (over four years) and 30% non-long-term contracts (under four years). The adjustment revolves around the three following considerations: 1) reasonable prices, 2) stability of the system, and 3) total liberation of the system. These details will be submitted to the Ministry of Energy and the Energy Policy and Planning Office (EPPO) for approval and implementation. – “Taek Praden” by Porrasak Ngamsompark, Department of Mineral Fuels, in Online Prachachat Business. PTT PLC is also seeking to purchase LNG from various sources while the market power belongs to buyers in the hope of procuring enough LNG to help create energy security after LNG liberalization. 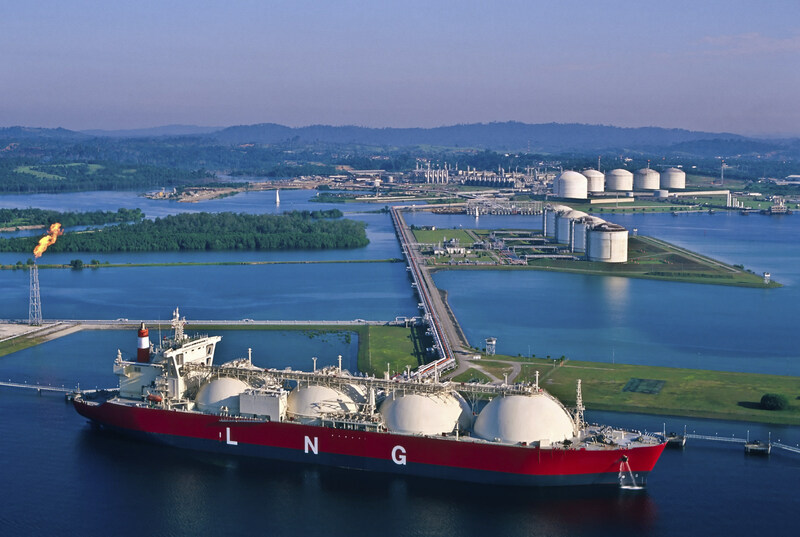 It is projected that balance will be restored to the global LNG market in the next five years, while the market power will fall back into the hand of suppliers, driving its prices up. Following the complete liberalization of the LNG business on August 1, 2017, the next mission is to liberalize the natural gas industry and allow private entrepreneurs to import LNG as well as reserve necessary infrastructure, ports, storage facilities, and the pipeline system of PPT PLC. At the subsequent EPPO meeting, the Department of Mineral Fuels is expected to present their national LNG plans and portfolio, revised to correspond more closely with a shifting landscape and a change in demand. The revised LNG portfolio has revealed the proportion of long-term sale and purchase contracts for private players, which appears to correspond with the third-party access policy of the Department of Energy. Upon a closer look, it can be seen that all the existing long-term sale and purchase contracts belong to PTT, obtaining imports from Qatar, Shell, BP, and Petronas. Porrasak Ngamsompark, Chairman of the working group for the formulation of the LNG Bureau, the Department of Mineral Fuels, stated that the proportion of the portfolio for short-term contracts was considered “unfair” for new players, and the portfolio should be readjusted on the assumption that the natural gas demand would continue to increase steadily. 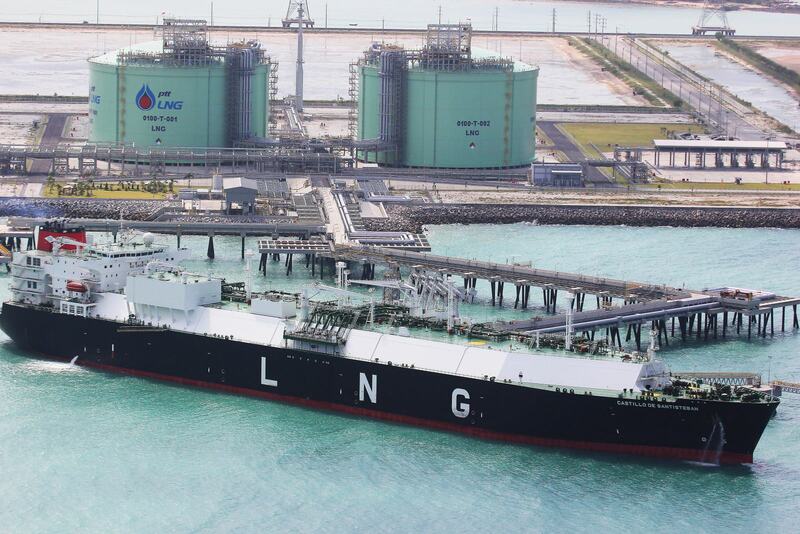 Recently, the Electricity Generating Authority of Thailand (EGAT) has obtained an LNG trade license. Previously, EGAT was a major purchaser of natural gases because they were the main fuels for its power plants. In addition, EGAT is set to invest in a floating storage regasification unit (FSRU) to secure its fuel supply for its new power plants in the future. When put into effective, this new portfolio for LNG imports will contribute to the sustainable security of Thailand’s energy in the future.